Micro-Mechanics is a leading designer and manufacturer of precision tools, assemblies and consumable parts for the semiconductor market. The 30-year-old company is based in Singapore, with a U.S. facility located in Morgan Hill, Calif., serving as a Tier 1 supplier to the semiconductor, medical and high-tech instrumentation industries. The company’s ultimate goal is to produce perfect parts made on time, every time. 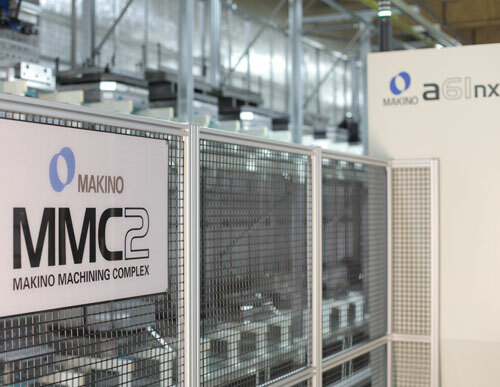 Micro-Mechanics established a platform for its 24/7 machining process by investing in a reliable and repeatable automated machining system that consisted of three Makino a61nx horizontal machining centers and an MMC2 track pallet system with MAS-A5 cell control software. The company built on this technology with standardized processes across all departments, including tooling, fixturing and programming. • Offline tool management monitors and controls all tooling characteristics using RFID chips, run-out monitoring, tool balancing, Cpk calculations, and standardized operating and tool setup parameters for consistent and repeatable production. • A set list of tools, including tool types, pod numbers and operating parameters can be applied to all programmed machine processes. • Identical tool magazines ensure that any part can be produced on any machine at any time. • Networked communication between tool management department, operators and machines via the MAS-A5 cell controller delivers instantaneous transfer and storage of all tool data. • Custom-engineered setup solutions have standardized tombstones, clamps and fixtures to ensure that any part can be ordered at a moment’s notice with guaranteed results. • Universal software platforms ensure that all designers, programmers and engineers see the same things when a file is opened. • A rigid schedule of preventive maintenance and 7S housekeeping activities are conducted eight hours each week to prevent downtime and extend equipment life span. By minimizing variations between jobs, the company aimed to improve efficiency and simplify manual operations to reduce and remove human error. Micro-Mechanics’ investments in an automated machining system and standardized processes have led to improved part accuracies, better surface finish and up to three times longer tool life. Fixtures can be transferred between like tombstones without any offset adjustments and still hold positioning tolerances within 0.0005 inches across all coordinate axes. As a result, the company no longer needs to produce test runs. Micro-Mechanics is nearing its 24/7 machining goal of 95 percent spindle utilization, or 160 hours of weekly production, while also striving to make on-the-fly adjustments to the company’s production schedule, with 100 percent success and virtually no downtime.